Time for another January giveaway! This one goes along our plan to get healthier in 2014. I've been on a healthier lifestyle journey since April 2012 and still loving it. What are your health goals for 2014? 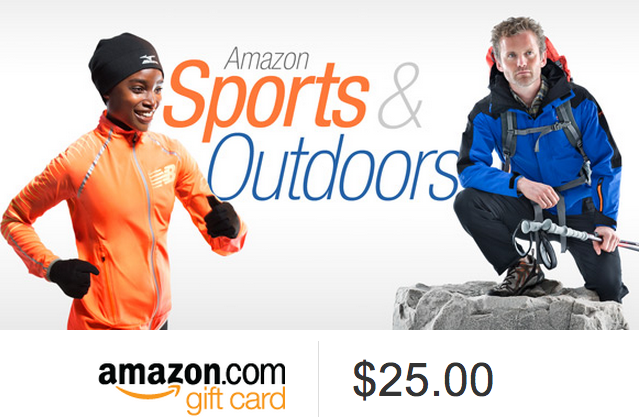 I'm giving away $25 to Amazon so that you can use it to get healthy! Click on all the other healthy living links below to increase your chance to get even more goodies for your journey! Good Luck! Now that the holidays are over, it is time that we give our bodies some TLC. As busy adults and parents, we sometimes forget that our own health is just as important as that of our families. 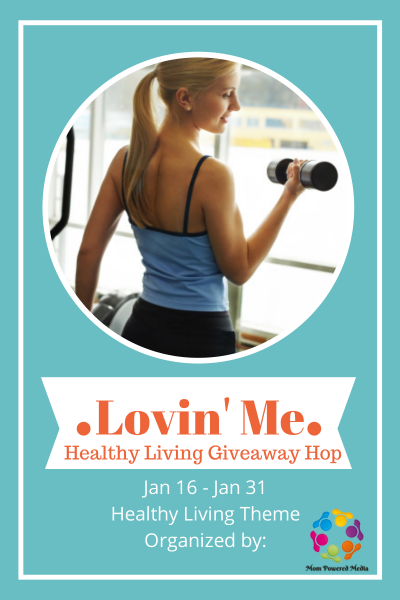 Since many of us have New Year's Resolutions to be healthier or lose weight, MPM Blogging Network decided to gather some of our favorite blogs and jump start your new healthy life style with the Healthy Living Giveaway Hop! Enter below in the Rafflecopter form to try and win a $25 Amazon Gift Card to help you with healthy living and then click on the other links to enter the other giveaways! I would buy a work out DVD. i really want to get one of the calorie/distance tracking bands! if i won this giveaway, i would use the gift cards towards new running shoes. I would get some probiotics. I need new workout shoes. I would buy some comfortable clothes to wear while exercising. I think I would get a new audiobook to listen to while I exercised. I'd buy a yoga mat fr my class. What a great giveaway! I know I am focused on eating healthier and limiting my sweet intake - especially after all the family get-togethers and drop-ins that centered around dinners, snacks and desserts. If I was to win, it would go towards purchasing a Magic Bullet to make my morning smoothies. Thank you for the opportunity! I would get a yoga DVD. I would purchase a cleanse kit! I would get some herbal supplements! I would put it towards buying a blender/juicer so I could make smoothies, etc. I always need new running shoes. I desperately need new Nike's, I think I'd apply this towards a new pair. I really want to get them before the warmer weather hits and I start walking again. Most likely get a kitchen scale for portion control. I would purchase fractionated coconut oil so I can make different blends with my essential oils. I would buy a new pair of walking shoes for when I walk in my neighborhood. I need something with better foot support. They have some Earth Balance Vegan White Cheddar Popcorn that I love! I would take this gift card to the local farmers market and stock up on fruits and veggies! I'd put it towards a pair of new running shoes, or maybe some weights. I would purchase zumba DVD's! I would use it towards a new pair of walking shoes! I would love to use it toward one of the new calorie counters I've be seeing. I'd purchase workout gear from Moving Comfort or Oiselle, assuming they both still sell through Amazon. I would get a new yoga DVD. I would buy a workout DVD. I'd put it toward a Vitamix. I always see great deals on cliff bars and annie's snacks/macaroni and cheese on Amazon, I would use this to buy a bunch of healthy groceries on Amazon! If I won I would buy myself some Yoga DVD's. I would purchase a new workout DVD. I would love to buy some new workout clothes and a workout Dvd so I can stay healthy even when I can't get outside bc of the cold weather! I would use it towards buying a blender, thanks ! I would buy some resistance bands. I would buy some multivitamins! I'd definitely buy a Fitbit Activity Tracker! Thanks! I would put it towards a good pair of walking shoes. put towards an exercise bike! thanks for the chance to win! I would by a yoga item. I need to get a new sports bra that actually fits! I'd get a CD I can dance to. I would get garcinia cambogia to help with weight loss. I buy a Workout DVD! I would buy some new workout dvds or dumbbells. I might buy some calcium supplements. I would get some beginner yoga DVDs. And then make my dad do them with me. I would purchase some new shoes! I would buy some hand weights! Thanks for the great giveaway! I'd buy some sports bras. Amazon has a buy one get one Slimfast deal so I think I'd get myself a good deal on some shakes! I would buy some new tennis shoes for jogging. I'd like a work out shirt. I'd buy a new jogging jacket! I would like a Fit-Bit or other pedometer. This way I can track my walking goals easier. I'd like to get some Vitamin D and Calcium. Just learned my bones are bad. I'd love a rodney yee yoga dvd or a new exercise ball... mines on its last legs after being used for 2 births! I would love to win this $25 Amazon gift card so I could put it towards buying a juicer. I am saving up for one & this would help a lot. Thanks! Good Luck to all! I'd round out my essential oils collection! I would purchase some resistance bands to use at home. 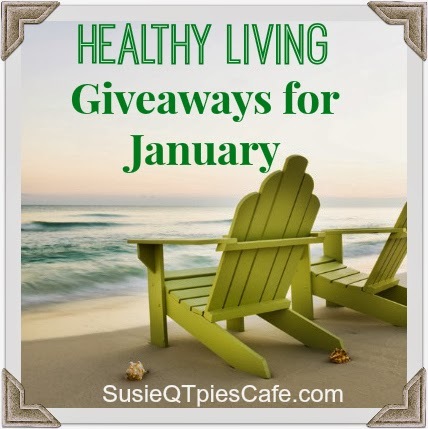 Hi Susie, I'm so glad I happened to see this healthy lifestyle blog hop! My blog is also geared towards healthy lifestyle. Hmm, what would I buy with $25 at Amazon? I would love to have a pedometer our maybe some sport bras. Thanks for hosting! I would use this gift card towards getting new walking shoes. Thanks so much. Fresh veggies and fruit to eat healthier and less processed. If I won, I would buy a FitBit to track my workouts. I would buy a healthy cookbook to inspire me. I would get new workout shoes. I would purchase 2 bottles of the supliment I have been recently ordering from Amazon. They are $12 a bottle, and 2 bottles would give me a 90 day supply...nice! I'd love to buy a new pair of New Balance running shoes to help stay in shape in 2014! I would get some vitamins and supplements. I think it would have to go towards the walking shoes which is a healthy alternative than bus for only a few short walks. I need to order some supplements soon so I would use it towards that. I would purchase the Hamilton Beach Personal Blender. It would be a great item to have when I travel so I can make my own health drinks. Thank you for the super giveaway opportunity. Keep up the terrific blogging. I would buy some vitamins and some protein shake mix. I would save it for some yoga items since I just started it up again. I would buy a yoga mat. Maybe some Kashi products, such as cereal, healthy cookies, and granola bars. I would get a kettlebell set. I would get a glass water bottle to remind me to drink more water. I would buy a DVD to exercise by. I would buy some hand weights! I'd get a FitBit or something along those lines. I would buy an exercise DVD I've had my eye on. I would love to get new workout clothes and shoes. Thanks for a great giveaway! I really want to put it towards getting one of those FitBit bracelets. I want to track my activity level, steps, and sleep patterns. It would go toward a fitness tracker. I would purchase fish oil. I would purchase exercise DVDs. A cookbook on low carb recipes. I would purchase a blender so that we could make smoothies. Need some good shoes here! I would buy Gluten Free Flax seed Baking flour mix, it's really nutritious! I would use it for a new pair of yoga pants. I would use the gift card toward a new pair of running shoes. I'd buy a scale to help watch my weight. I would purchase workout clothing! I would buy resistance bands! I'd purchase a kettle ball to use when doing squats. Thanks. A blender for some homemade smoothies! I would buy a couple of workout DVDs or put it towards adjustable hand weights. I'm saving up Amazon codes for a stand mixer, so I can create healthy baked goods. I might get some hand weights. I could put to new hiking shoes. I wore my other pair out. I would like to purchase some new walking shoes. Put it towards some new tennis shoes. I would put it towards weights. I'd buy an exercise video. I would buy a Jillian Michaels workout DVD. I would put it towards a new pair of running shoes. I really need some! Save up for a juicer. I'd buy healthy ingredients for my morning smoothies! I'd order some powdered vitamins. I don't really like them in pill form, but I know I need to take a multi-vitamin in some form. I would purchase workout DVDs. I would get myself some much needed new yoga pants! I would get some protein drinks to help with my workout regime.